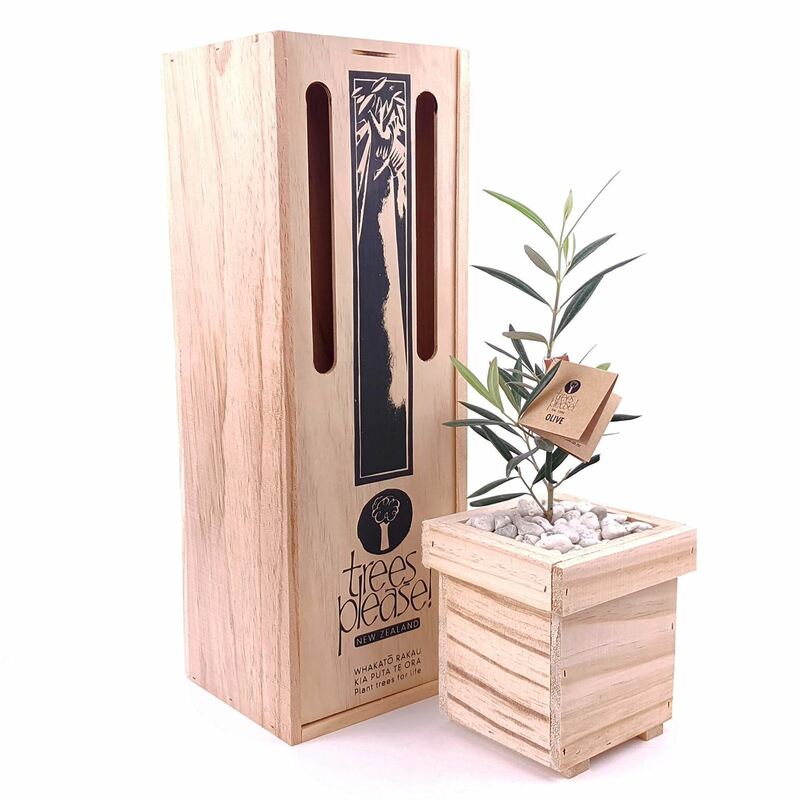 Send some Mediterranean delight to someone special with this gorgeous living olive tree gift. Olive trees produce yummy olives and lovely silvery green leaves, perfect for creating dappled shade to relax under. Baby olive tree (36-43cm) presented in custom-designed wooden planter containing high quality potting mix, finished with white river stones.